Over the HillersThere is an official ski group for Roaring Fork Valley residents and visitors ages 50 and older.The Over The Hillers group meets every Tuesday inside and upstairs at the Ullrhof Restaurant at 10 a.m., according to Ruth Waldman, a longtime ski ambassador for Aspen Skiing Co. and leader of the ski group. 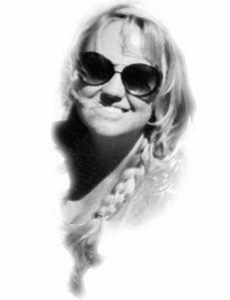 The group heads out to ski at 10:15 a.m.“The group was formally a part of the Over The Hill Gang International, which had its headquarters in Colorado Springs,” Waldman said. The group is now sanctioned by Aspen Skiing Co. 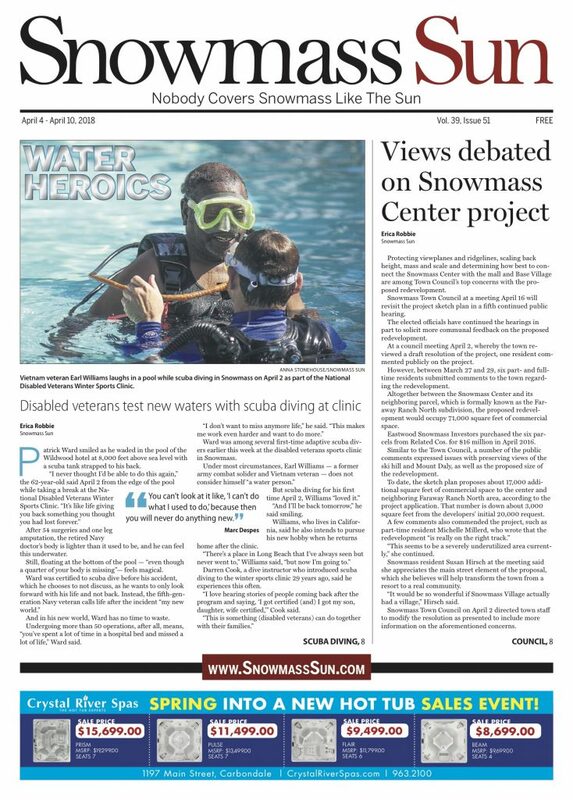 It shouldn’t be confused with informal ski groups that use a variation of Over the Hill in their name, she said. Sometime in the late 1990s, Aspen Skiing Co. officials realized they had a problem looming with the coming wave of aging baby boomers and it required careful consideration of pricing strategy. The boomers, who were 36 to 54 years old at the time, were the bread-and-butter of the ski industry. Many of them were fit, hit the slopes a lot and had the disposable income necessary to pursue an expensive hobby. By-and-large, ski areas accomplished that goal. Some ski areas allow skiers free access once they hit a certain age — anywhere from the 50s up to 80 years old. 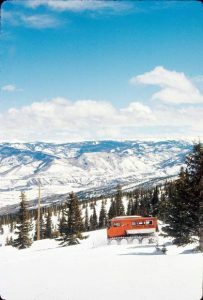 Aspen Skiing Co. eliminated the name Young-at-Heart in the 1998-99 season and set the stage for price hikes in coming years. An internal pricing committee looks at pass prices each year and typically adjusts them by a few percentage points. The Silver Pass has skyrocketed by $400 or 400 percent over the past 17 years. In comparison, the Premier Pass for individuals has climbed $550 or 42 percent over that same period to a price of $1,849. 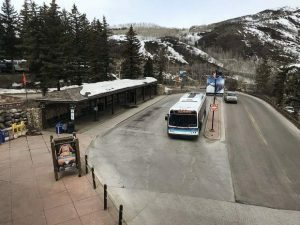 Employees who work for a business that belongs to a chamber of commerce in the Roaring Fork Valley have experienced a price increase from $949 to $1,349 for the Premier Pass, an increase of $400 or 42 percent. Sometimes he skis with a grandson or other visiting family or friends. Other times it’s with an informal group of retirees living in the Aspen area. The Over the Hill Gang hits Aspen Highlands on Mondays and Wednesdays then Snowmass on Thursdays. To join the group you just have to show up at the ticket office at 10 a.m.
“You ski five or six times and you cover it,” he said, comparing it to the price of walk-up, single-day lift tickets. In Colorado, only four resorts let seniors ski for free in 2016-17, and the ages of admittance were all over the map. Monarch Mountain set the age at 69 while Arrowhead was at 70. 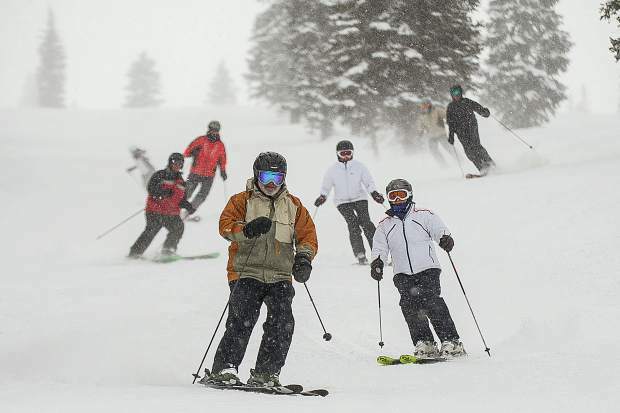 Sunlight Mountain Resort and Wolf Creek Ski Area set the ski free age at 80. Data from a study commissioned by NSAA, based on surveys with a representative sample of resorts, shows that baby boomers and pre-boomers accounted for about 20 percent of national skier visits in 2016-17. Aspen Skiing Co. has extra incentive to keep seniors satisfied. The resort’s demographics tend to skew older than the industry as a whole, Hanle confirmed. Aspen also has tremendous return business and customers who are loyal, he said. They bring multiple generations of their families to trips in Aspen-Snowmass so their importance outweighs their skier visits. 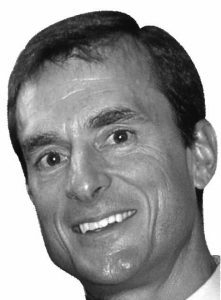 Stebbins said “geezers” are a lot more important to the ski industry than most executives appear to realize. The sport loses roughly 19 percent of participants between ages 45 and 54, for a variety of reasons. Therefore, it should be doing more to retain skiers who have stuck with it to age 55. Pricing is only part of the picture, he said.